Jesus, behold me kneeling at Your feet, filled with a lively confidence in Your Sacred Heart. You said, “Ask, and you shall receive; seek, and you shall find; knock, and it shall be opened unto you” (Mt 7:7). I earnestly ask this favor: to be a generous, self-sacrificing, faithful Marian Catechist all the days of my life. 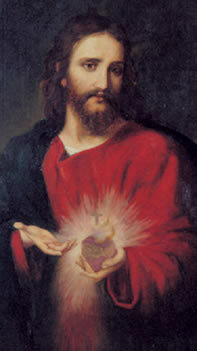 I have recourse to You, Divine Heart of Jesus. In You I find consolation when afflicted, protection when tempted, strength when burdened with trials, and light in doubt. May the Promises dictated by Your Sacred Heart to St. Margaret Mary be fulfilled in my life! Sacred Heart of Jesus, whatever may be Your decision with regard to my request, I will never stop adoring, loving, praising, and serving You. Grant me the grace for which I humbly implore You through the Immaculate Heart of Your holy Mother. Heart of Jesus, I put my trust in You! This novena prayer, written by Father Lawrence G. Lovasik, S.V.D., should be prayed beginning nine days before the day of Consecration for Marian Catechists.